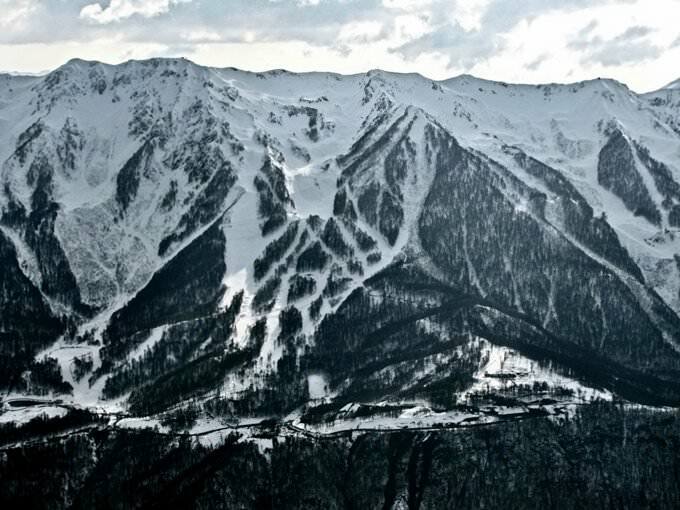 Krasnaya Polyana is a popular ski resort located not far from Sochi. At one time, there were highlanders’ settlements. Their main village was called Kbaade. The highlanders of the Black Sea coast revered these lands as sacred ones. There were lush centuries-old firs, under which the Council of Elders met when the village saw the most crucial times. Here, decisions on piece or wars between the tribes were taken. The beauty of this place attracted many tribes. A little later, Krasnaya Polyana became a hunting fiefdom of the royal family, which members came here to hunt the bison. Originally, the village was called Kbaade and then Romanovsk, as it was often visited by the representatives of the Romanovs. Consequently, the city was eventually changed to Krasnaya Polyana. It is considered that this name was given by Greeks inspired by the beauty of the fall purple fern growing here. 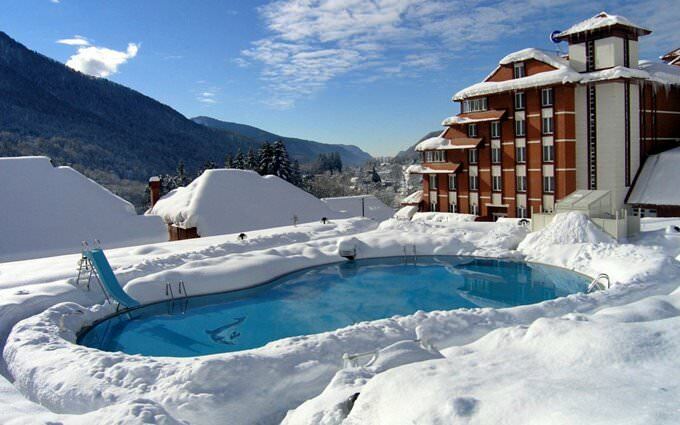 Not far from Krasnaya Polyana, in the mountains, the famous mineral water spring called Sochi Narzan is located. The water from the spring surpasses even the famous Kislovodsk water with its taste. The first tourist camp was opened here in the Soviet period, in 1924. It was called Mountain Air. Since that time, Krasnaya Polyana has become one of the centers of the ski tourism. Now, the most expensive road in the world stretching from Krasnaya Polyana to Adler is being built. One kilometer costs the Russian Government 140 million dollars. The sea is only 40 km from Krasnaya Polyana, so you can easily combine skiing with beach recreation here. The highest mountain of Europe, Elbrus, is located exactly here, which will delight fans of unusual tours. 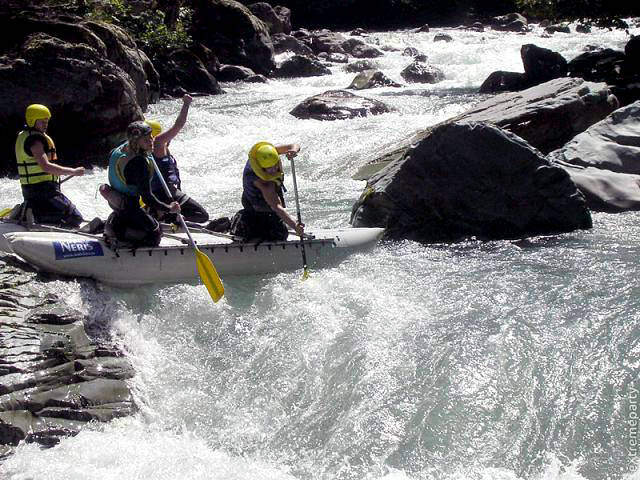 The guests of Krasnaya Polyana can take part in many interesting entertainments. Fans of sightseeing tours can see mysterious dolmens. The scientists have argued over the history of their appearance for many hundred years. These are small stone constructions. Dolmens were created by humans in the prehistoric period. It is still not known what they were made for. Some of the monumental constructions are aged over 6 000 years and have been preserved to this day. You can see one of the most interesting and oldest dolmens in the district of Soloh-Aul. In the territory of the resort village, there are several religious monuments, including the Temple of St. Haralampy. 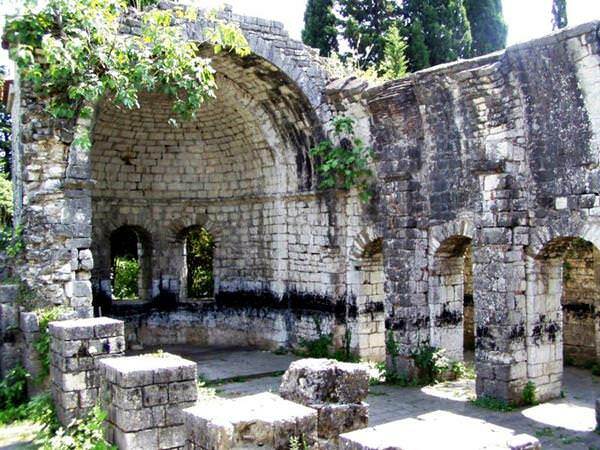 It was built in the period between the 19th-19th centuries at the initiative of the Greek community living here. It was the first stone temple in Krasnaya Polyana. It was constructed in the best Greek traditions. Near the temple, there is a tiny Chapel of Holy Martyr Zinaida that is distinguished by its spectacular architecture and Greek design. Another interesting historic site here is the ruins of Fortress Achipse. It was built in the 8th century for protecting the nearby territory. In the early Middle Ages, the huge stone fortress lost its original status and was in disrepair. Today, the visitors of the historic district can see here the preserved fragments of the old magnificent stone construction. It will be very interesting for tourists to visit the Museum of the History of Krasnaya Polyana. Its exposure will certainly impress school-aged children. This guide to iconic landmarks and sights of Krasnaya Polyana is protected by the copyright law. You can re-publish this content with mandatory attribution: direct and active hyperlink to www.orangesmile.com. Check on the map: Distance from Krasnaya Polyana center - 34.6 km. Check on the map: Distance from Krasnaya Polyana center - 30.1 km. All about Krasnaya Polyana, Russia - sightseeings, attractions, touristic spots, architecture, history, culture and cuisine. 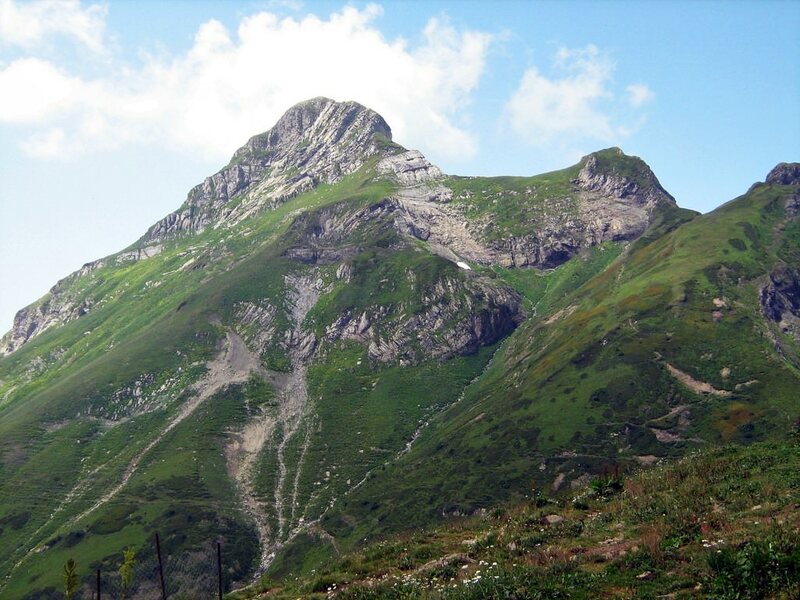 Prepare your trip together with OrangeSmile.com - find out the 'must see' things in Krasnaya Polyana, which places to visit, which excursions to take, where the breathtaking views are waiting for you. Planning your trip with this travel guide will help your to get the most out of Krasnaya Polyana in few days.